This handy guide helps readers quickly identify instrumentation. It includes data on control devices, monitors, and batteries, and a chapter on bar coding as a control procedure. Pocket Guide to Instrumentation is a handy guide that helps simplify procurement and handling of instrumentation equipment and accessories. It provides materials personnel with concise, straightforward information for identifying and tracking the many types of control devices, fittings, valves, etc. that accompany instrumentation projects. It also includes data on cables, monitors, and batteries, and a chapter on how to use bar coding as a control procedure. Ideal for engineers, designers, and technical and clerical personnel involved in material procurement and control, this compact reference is packed with figures and tables that describe a wide range of standard instrumentation items. Preface. Control Devices. Instrument Valves. Instrument Fittings and Monitors. Storage Batteries and Solar Modules. Miscellaneous Electrical and Instrumentation Items. Bar Coding Systems. 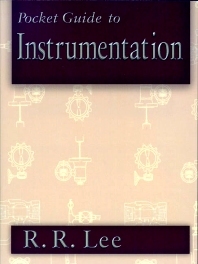 Appendix: Abbreviations for Instrumentation Items. Index. R.R. Lee is president/owner of Lee's Material Services in Houston, Texas. Prior to this, he was material takeoff section leader with McDermott Engineering, Inc., and has more than twenty years' experience as a purchasing agent, inventory control supervisor, and material specialist/manager with Brown and Root, Inc., Texaco, and Oasis Oil Company.